Known as a “poet of witness,” Carolyn Forché is the author of four books of poetry. Her first poetry collection, Gathering The Tribes (Yale University Press, 1976), won the Yale Series of Younger Poets Award. In 1977, she traveled to Spain to translate the work of Salvadoran-exiled poet Claribel Alegría, and upon her return, received a John Simon Guggenheim Foundation Fellowship, which enabled her to travel to El Salvador, where she worked as a human rights advocate. 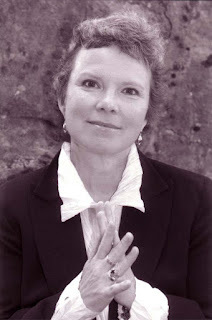 Her second book, The Country Between Us (Harper and Row, 1982), received the Poetry Society of America's Alice Fay di Castagnola Award, and was also the Lamont Selection of the Academy of American Poets. In 1994, her third book of poetry, The Angel of History (HarperCollins), was chosen for The Los Angeles Times Book Award. Her fourth book of poems, Blue Hour, was published by HarperCollins in Spring 2003. Her translation of Alegria's work, Flowers From The Volcano, was published by the University Pittsburgh Press in 1983, and that same year, Writers and Readers Cooperative (New York and London) published El Salvador: Work of Thirty Photographers, for which she wrote the text. In 1991, The Ecco Press published her translations of The Selected Poetry of Robert Desnos (with William Kulik). Her articles and reviews have appeared in The New York Times, The Washington Post, The Nation, Esquire, Mother Jones, and others. Forché has held three fellowships from The National Endowment for the Arts, and in 1992 received a Lannan Foundation Literary Fellowship. Monday Review: E.F Benson's "The Room in the Tower"
Edward Frederick Benson (1867-1940) was a prolific English author of more than 100 books (including 70 works of fiction). Largely forgotten today in the United States, he is perhaps best known in the UK for his Mapp and Lucia novels about life in the fictional city of Tilling. Originally published in the 1930s, these books were later resurrected and formed the basis of popular 1980s film adaptations on the BBC. 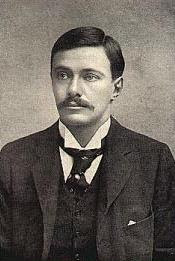 During the course of his career, Benson—the son of the Archbishop of Canterbury—nurtured an interest in the supernatural; he published more than fifty “spook” stories, many of which are considered classics in the genre. That room in the tower, it’s easy to surmise, is where you don’t want to be lodged for the night. It’s a predictable outcome; long before we reach the end we know the dream will one day be played out in the narrator’s life. But this is not the kind of ghost story you can measure the creep value of by the shocks of its plot twists. Instead it’s in the slow, deliberate way in which the author delays your inevitable trip into the room in the tower—and in the ghoulish thing you find lurking there. At the Fall for the Book Festival at noon on Sept 24th (with Deborah Ager) at George Mason University. Also, news from Writer's Center board member E. Ethelbert Miller. He will be reading soon in New York City. If you happen to be in NYC on September 20th, check it out. He'll be reading from a great book. Those of you who've been to our building recently know that we've now cleared the shelves of nearly ALL of our books. What remains are workshop leader titles, our stellar lit journal collection, and some newer, craft-related titles. What happened, you may ask. As a nonprofit organization determined to promote literacy and a strong, lasting book culture, The Writer’s Center is pleased that its donation—a collection many years in the making—will give back to the community of which it is a part. Girls, Inc. serves the DC girls by inspiring them to “be smart, strong and bold.” “There is still a wide gap between what women and men earn. Women earn 76% of a man’s salary in the same job with the same educational background. To close this gap, girls must conquer social, legal and cultural barriers that are different than those faced by boys. By providing space and programming that is targeted specifically to girls, their needs and their challenges, Girls Inc. is able to prepare girls to be on the same playing field as boys and to help close this unfair gap.” Their locations are the Trinidad Recreation Center in Ward 5 and the Ft. Davis Community Center in Ward 7. The Community Council for the Homeless serves the upper Northwest area of DC, identifying at risk populations and providing education services as well as transitional supportive services. The Community Council for the Homeless strives to bring services to the homeless to help them integrate back into the community at large. The Washington Literacy Council works to raise the level of literacy of adults and children in the nation’s capital. By providing support services and a safe, motivating environment, the Washington Literacy Council helps its students meet their personal developmental goals. The organization is also committed to raising public awareness about illiteracy and the benefits of their programming. The Community for Creative Non Violence provides a wide range of services for the DC’s poor and at risk population. The organization provides food, shelter, education, health services, and drug abuse prevention programs in the nation’s capitol. The Community for Creative Non Violence is a 1,350 bed facility, one of the largest and most inclusive in the country. In addition to partnering with United We Serve, The Writer's Center is also pleased to work with Better World Books. The United We Serve book drive ended July 29, but Better World Books accepts donations throughout the year. Better World Books takes pride in being a global bookstore that harnesses the power of capitalism to bring literacy and opportunity to people around the world. If you have a closet-full of used books you’d like to donate, consider www.betterworldbooks.com. When you use Better World Book’s services, you’re contributing to individual literacy throughout the world, and what’s more: You can send your used books to them for free. Over the years, many people in our community have donated their used books to The Writer's Center, and we want to take this time to thank you for your donations. Thanks to your contributions, we were able to impact the lives of people not just in our little corner of Maryland but also those less fortunate from DC to Afghanistan. As you know, The Writer's Center will be kicking off a great new event on September 18th: the Emerging Writers' Fellowship reading called StoryStereo. That event brings together emerging poet Suzanne Frischkorn (Lit Windowpane), fiction writer Neil Smith (Bang Crunch: Stories), and hot local band the Roofwalkers (who'll officially release a self-titled album that very evening, right here at The Writer's Center). Yeah, already a little buzz on that over on Ventvox. Thanks to the amazing graphic designer John Foster, the owner of Bad People Good Things LLC, we've now got a super-great logo to go along with the event. If you want to see the work of a seriously incredible designer, click on the Bad People Good Thinks link above. It'll blow your mind. For The Writer's Center, it's an honor to work with such talent. BETHESDA, MD (August 26, 2008)—Where do DC area residents go to see emerging writers share a stage with the region’s best bands? Until recently, the answer was nowhere. Now, as part of its efforts to invigorate the local literary scene, The Writer’s Center in Bethesda has created a forum to bring these two groups of artists together—StoryStereo. StoryStereo is the new headline event for The Writer’s Center’s Emerging Writers Fellowships, which recognize up-and-coming authors. The inaugural StoryStereo will feature poet Suzanne Frischkorn (Lit Windowpane), Canadian fiction writer Neil Smith (Bang Crunch), and local band the Roofwalkers—who will launch a new, self-titled album at the event. When: Friday, September 18, 7:30 P.M.
Ben Licciardi, the lead singer of The Roofwalkers, agrees. He adds, “I think StoryStereo will provide music fans and area musicians the opportunity to enjoy the common ground between poetry, prose, and music." Those of you who travel to Richmond--or who live in the Richmond area--may find this event of note: James River Writers Conference. It'll happen from Oct. 9 to 10th. David Y. Todd is a new workshop leader at The Writer's Center. His workshop, P.R. 101For Solo Practitioners and Small Organizations, begins on September 17th. David is a public relations consultant and writer. After working as a trial lawyer then as a journalist, he taught at universities before turning to public relations full time in 1998. He has directed publications and aided media relations for individuals, government, nonprofits, and universities, and has spoken and written for himself and others online in The Boston Globe, Christian Science Monitor, the Washington Post, Yale Review, on local TV, and elsewhere. You can find him online at www.davidytodd.com. Take it away, David. A doctor, engineer, and lawyer were debating whose was the oldest profession. The doctor suggested one could date her profession back to the first surgery ever performed: God acted as a physician in fashioning Eve from Adam's rib. The engineer replied that before even that event, God acted as the first engineer, making heaven and earth, creating order out of chaos. The lawyer just sat back, smiled condescendingly and said, "Ah, my good friends, I have won. For, after all, who do you think invented chaos?" Chaos, maybe, but at least, no falsehood. When I was a first-year law student, I was startled to learn that, in representing a client in litigation, lawyers don't lie. They're required to be scrupulous about the facts. Of course, one learns how to emphasize some facts more than others, and one can't always know if a client is lying, but the rules forbid hiding anything relevant to the case that you know about. I hadn't known that basic tenet of the trade till I got to law school. So too, in public relations. While some of it of course includes "spin" and "marketing," be careful. It's never about pulling a fast one. It's about learning what your story is and then telling it. But telling it the best way possible: one that makes it interesting enough that people want it. And you can trace P.R. at least back to Moses. You know the story, it comes down to us from Exodus 4: Still early in the hero's journey he must take, Moses, after hearing his Lord speak to him out of the bush, begins right away to see problems with the mission assigned. God handily counters each objection Moses raises until we get to who will deliver the message. Moses protests he can't. "I have never been eloquent." God disagrees. "Who gave man his mouth?" Moses, intimidated, doesn't budge. "Send someone else to do it." God finally relents: "Your brother, Aaron...I know he can speak well." And God agrees to stay on as consultant: "I will help both of you speak and will teach you what to do." A final lesson of that chapter of the story: God directs Moses to use the miraculous staff to perform signs as proof of his mission and its necessity. So too, in P.R., you have to have the goods. There's no public relations worth doing if you don't have something worth relating about. But that's why, in my P.R. workshop, I offer at the start some quick tools for making sure your mission is nailed down. So you can state in a sentence what you do and why, in a way that excites, or at least doesn't quash, interest. Your skill, your service, what you uniquely have to offer - that's the foundation for your P.R. Be you doctor, lawyer, engineer, painter, author, retailer or, like me, a consultant in some specialty, your profession finds its own honorable and deep history. By my lights, P.R. is also about knowing a little of that history and being proud of it. You do what you do for deep personal reasons. Those, too, can be part of your story. Why I do PR for a living? It's what I was given to do. If you know the Carl Jung-based personality metric devised by Meyers-Briggs, you'll understand when I say I'm an INFP: we get enthusiastic, we're passionate about mission, and we're gifted at words and images. Or so I believe. That's my story and I'm sticking to it. See you at the workshop. What I remember most about applying to college was the endless hours agonizing over the essay portion of the application. Whether my words put me in the right light? And what exactly was the right light? I knew a few people who went temporarily insane as they believed their entire life depended on wowing the admissions committee. It was all very funny in retrospect but painful to live through, in that transient period. I’m sure the game hasn’t changed that much since I was a senior in high school. People are still procrastinating and fearful. To help with this, I’m leading the workshop, Write Yourself into College. It’s a one-day intensive. And I wanted it to be a kind of antidote to procrastination, worrying, and those given to anxiety-induced panic attacks. This workshop is intended to help all of those applying to a four-year university who waited to the last minute and need a little push. By the end of the day, you should be well on your way to completing your first essay for one of your colleges. You also have the option of sending me the final draft before you send it off. At the beginning of September, First Person Plural will receive a facelift. I'll write more on that later. Today, I want to share this message from our Friends at Split This Rock! First, a congratulations are due to them--read below to find out why. So we’re having a party!! Thursday, August 27, 6-8 pm for a Happy Hour in the Langston Room at Busboys and Poets, 14th and V Streets, NW. Suggested donation is a modest $10-$25, sliding scale. Please come celebrate, learn more about volunteer opportunities with Split This Rock, make a donation, bid on exciting auction items (including a week at the fabulous writers’ retreat center, Wellspring House), chow down on yummy Busboys and Poets-donated snacks, quaff Split This Rock-specific cocktails, hear poetry from Regie Cabico and DC youth and 2010 Split This Rock featured poet A.B. Spellman, and preview our promotional video! First, local super blogger Serena at Savvy Verse & Wit posted a characteristically well written review of Mahbod Seraji's Rooftops of Tehran today. And, for the poets out there, Serena hosts Virtual Poetry each Saturday. She posts a poem and others "gather" to discuss live. Sound cool? Sure does. The Theatre Lab is looking for interns to assist in the final week (August 24-28) of its Summer Acting Camp for Kids. There is a small stipend available for college students, or earn community service hours. If interested, please send an e-mail to contact@theatrelab.org. Discussion with author Amy Tan and National Geographic Traveler Contributing Editor, Don George (Look for more on this later at First Person Plural). Okay, so we've reached the end of Registration Drive Week. I'm exhausted, but it's been fun. Here are Friday's winners. Again, thank you to everyone who made this such a wild ride. Two free tickets to attend Obie Award-winning actor and author Martin Moran's Oct. 19 performance at The Writer's Center: Michael Scadron. Oh wait, we stil have the Grand Prize Winner. That would be Cindy Cook. Congratulations Cindy and everyone else who won a prize this week. Congratulations to these winners. Register for a workshop this week for your chance to one of these prizes OR the Grand Prize of ONE free winter workshop. The Drive Week closes today at 5 p.m. Time's running out. Are you interested in writing for First Person Plural? If so, we're looking for you! First Person Plural is now accepting submissions from members, authors, interviewers, reviewers, book literati, agents, publishers--anyone, in other words, with any interest in advancing the cause of a book culture. We have some semi-regular features, but we're also game to do some new things. Regular readers of this blog get first crack! Which is to say, regular readers see this first. Please e-mail your thoughts/pitches to Kyle Semmel at kyle.semmel@writer.org. Those of you who haven't won anything yet, don't worry, there's still time. The contest ends at 5p.m. Friday, Aug. 14th. Remember, anyone who registers this week is eligible. Our grand prize drawing will be held at 5p.m. on Friday. The winner of that drawing gets ONE free Winter workshop of his or her choice. Meanwhile, local poet and writer Bernadette Geyer (once interviewed at First Person Plural here) features some super book reviews over at berniE-Zine. Vicki Lambert: Two tickets to Obie Award-winning author/actor Martin Moran's performance at The Writer's Center. In other brief news, George Mason's Fall for the Book Festival is readying its final program for the festival, slated to run from Sept. 21-26. The Writer's Center will be hosting one of these events, James Ellroy's reading on Sat, Sept. 26. Please register for that event early, if you'd like to attend. It'll be in demand. You can register here. Where: M&T Bank Tent, Outside the Johnson Center, George Mason University, 4400. See the link below for further information. Other names of note on that list include many connected to The Writer's Center: Naomi Ayala (workshop leader), E. Ethelbert Miller (board member), Deborah Ager (workshop leader), and Reb Livingston (member), C.M. Mayo (workshop leader), Dennis Drabelle (workshop leader), Yvette Neisser Moreno & Luis Alberto Ambroggio (workshop leaders), Dave Housley (workshop leader and editor at Barrelhouse), Charles Jensen (Director), and Kyle Semmel (publications & communications manager). For a complete list of events during the Fall for the Book Festival, you can download the pdf here. Congratulations to the winners. One small change to the Registration Drive Contest: ALL registrants will be eligible to win a prize throughout the week and not just on the day they register. So everyone who registers for a class this week, all week, are eligible every day. In other news, local blogger and Examiner.com writer Serena Agusto-Cox interviewed The Writer's Center's Kyle Semmel on bookblogging, translations, and Bob Dylan. Check it out here and here. 60 Best Novels? Oh, really? The 60 best novels of the past 60 years, according to the English newspaper The Times online. An odd list, to be sure. Twilight made the cut. Take a look here to see what novels did or did not make the cut. Next week, The Writer's Center will hold its first annual Registration Drive. The Fall issue of The Carousel was shipped this week, so it should be in your hands by next week. So you can see for yourselves just what a great lineup of workshops (and events) we have on tap. 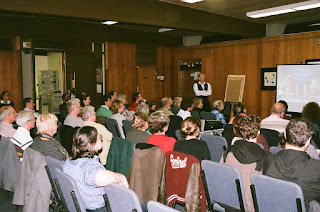 The workshop season begins in early September, and in addition to our usual lineup of great workshops across a variety of genres, we also have about a dozen new workshops and workshop leaders. The fall workshop seasons runs until December. How will the Registration Drive and prize giveaway work? 2) ONE FREE DVD of the film "The Soloist" starring Jamie Foxx and Robert Downey Jr. courtesy of Paramount Home Entertainment. 3) TWO FREE tickets to attend Obie Award-winning actor and author Martin Moran's Oct. 19th performance at The Writer's Center (this ticket is normally priced at $10; $5 for members). Tell your friends: You are more than welcome to share this post with others. Tweet it. Put it on Facebook. Email it. There will be only ONE winner per category each day, and the winners will be posted on this blog and on the Web site, and no winner can win more than one daily prize. But everyone, even the daily winners, will be registered for our Friday, August 14 Grand Prize drawing: ONE FREE Winter workshop of your choice. Note: In order to win any prize next week, you need to register for at least one workshop (of any length, from one-session up to 8-sessions). All methods of registration are eligible: you can call us at 301.654.8664, you can register online, in person, or by mail. This giveaway cannot be combined with other offers. And of course, as always, WC employees, workshop leaders, board members, families of each of these groups are ineligible to receive prizes. With the myriad possibilities for "connecting" online--a full list would be too large to explore here--it's nearly impossible to know much less participate in many. How do you find the time? I for one am connected on Facebook, Twitter (both personally and for work), LinkedIn, this blog, several e-mail accounts, Youtube, various home-related things....See what I mean? At times, it's exhausting just trying to remember all my passwords and usernames. Makes you want to just give up, buy a cabin, become a hermit. Once a week? As a freelance writer/editor, I have a close relationship with technology, particularly emails, since my bosses contact me 24/7 with their BlackBerrys. My friend’s email spurred me to think how dependent writers are on technology, and yet many writers I know don’t include, or rarely mention, technology in their fiction writing. Their characters live in low-tech worlds. When I decided to write a young-adult (YA) novel, I went around asking other YA writers how they deal with teens and technology. Most said they avoided it, yet many teens mainline technology all day. What gave the teen series Twilight a gothic, old-time feel to it was the lack of technology in the heroine’s life. To me, this absence of teen technology was much more bizarre than her falling in love with a vampire. As writers, we really should embrace technology in our characters’ lives because our characters use of technology is such a telling detail—just as what clothes they wear, what cars they drive, what they keep on their nightstands are all telling details. My friend’s comment about only checking emails once a week conjures up an image of a low-tech person, doesn’t it? Just like as the opposite presents a picture: I have a colleague who always checks his emails on his BlackBerry during meetings, even if it’s a small meeting of three people. Or how about this—a friend who appears as a typical suburban soccer mom actually has her own biting, left-wing political blog under a pseudonym. Very telling. 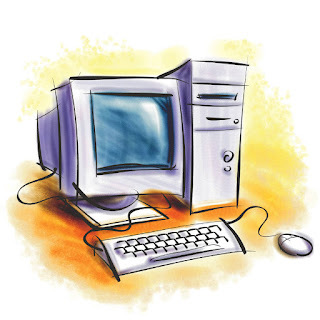 I can understand a writer’s hesitation to deal with technology. I used to joke that I set my YA, Homesick, in 1989 so I wouldn’t have to deal with teen technology. But the strange thing is I miss technology. Brigit, the heroine of my YA, has to fax her boyfriend in Germany. How slow is that? Or when she needs information, she has to trot down to the library, instead of checking it out on the web. It’s actually been harder than I thought to leave out technology and go back to a time before cell phones, emails, and the Internet were popular. It’s probably been just as hard for me to exclude technology, as other writers tell me it is to include it. About Carollyne Hutter: This is Carolynne's third appearance at First Person Plural. Check out her discussion of YA lit here. And Twilight here. For over a decade, she has been a freelance writer/editor in the Washington, DC area, specializing in international and environmental topics. Her website is http://www.hutterwriter.com/. Please visit the site to read Carollyne’s stories (including the opening chapters of Homesick), quirky essays, and nonfiction pieces. You can contact her at sayhi@hutterwriter.com. Electric Literature: Check. It. Out. Back from my trip to Denmark. The blog hiatus is now, with this post, officially over. Look for some changes to the blog in the coming weeks, but for now I'll get back in the groove (playing catch up all this week!) 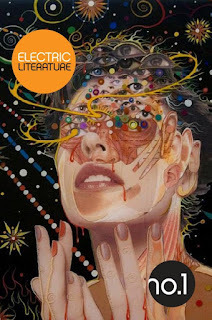 with a quick post about a new literary vehicle called Electric Literature. 5 great stories. The most recent issue features Michael Cunningham, Jim Shepard, and T Cooper, among others. And here's an interesting trailer for one of the stories found in EL. Tomorrow, we'll have a special guest post by member Carollyne Hutter.